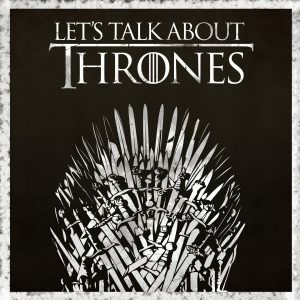 Let’s Talk About HBO’s Game of Thrones! Each episode we’ll take an episode or two of the show and talk about it from three perspectives; Amos will look at the production and set, Jennie will follow along with the books, and Richard is seeing everything for the first time. Whether new to George R.R. Martin’s A Song of Ice and Fire, new the HBO adaptation, or just re-watching in preparation for the final season, we’re happy to have you along!